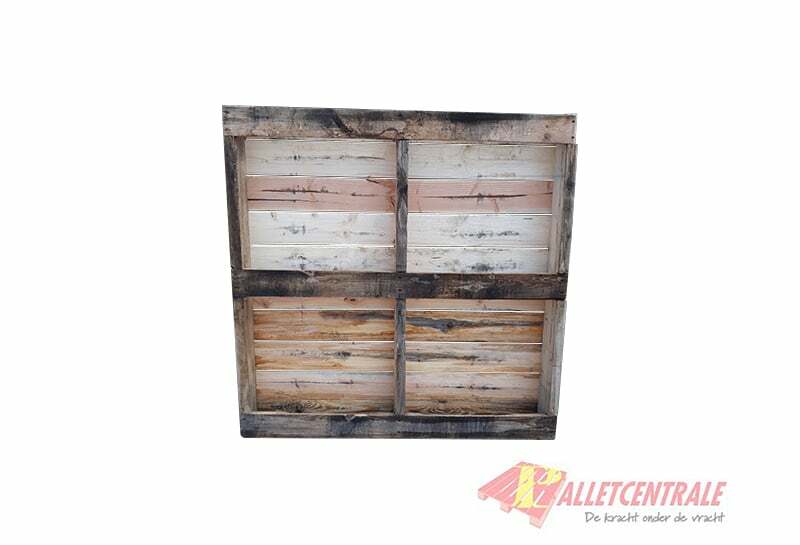 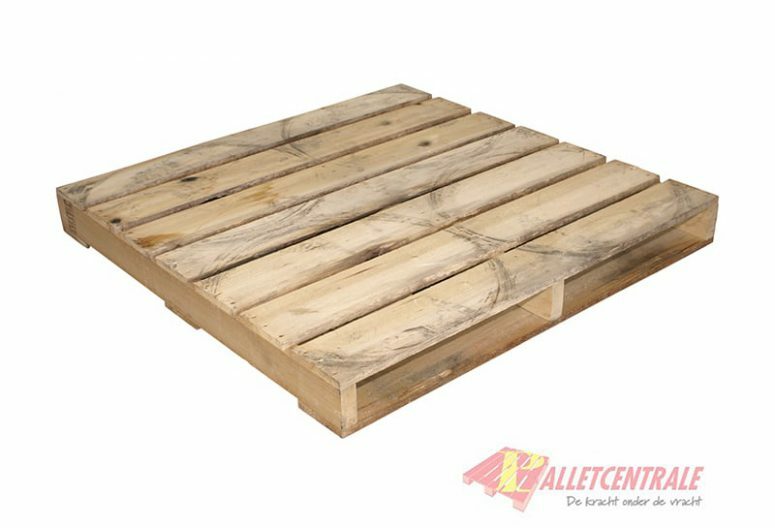 This reconditioned wooden beam pallet is 120cm x 120cm in size, it is a heavy weight version. 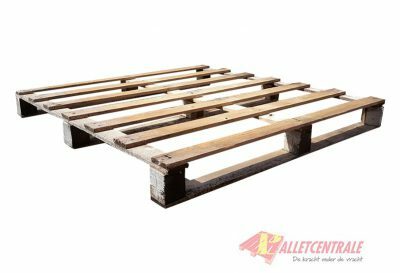 Wooden beam pallets are pallets with beams in stead of bobbins. 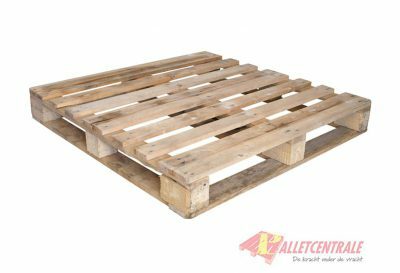 This construction provides greater strength but it means that it is only reachable from two sides. 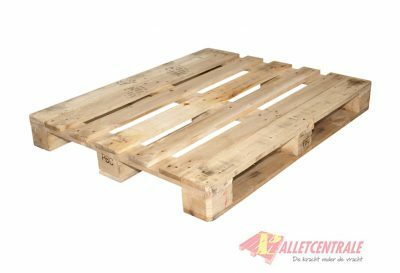 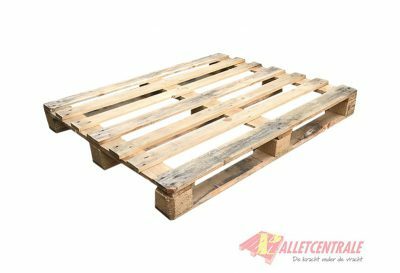 These pallets are also known as 2-way pallets and used when there is a heavier loading.